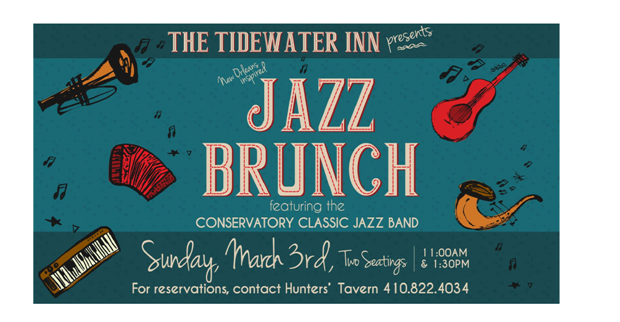 Enjoy the smooth sounds of the Conservatory Classic Jazz Band while dining on a New Orleans inspired brunch at the Hunter’s Tavern, Tidewater Inn located in downtown Easton. 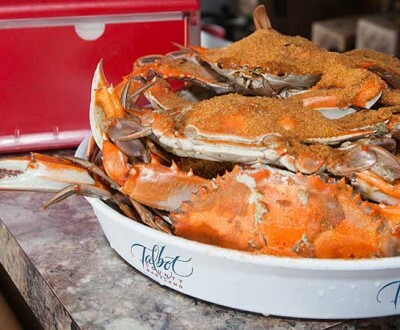 Make your reservations now while seating is available. Seating times are 11:00 a.m. and 1:30 p.m.